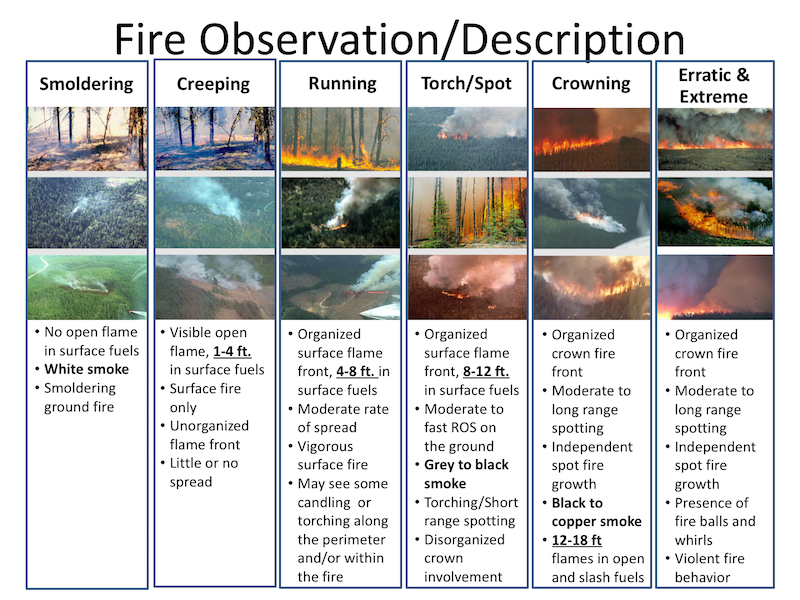 This guide identifies key terms for describing fire behavior and provides reference imagery and descriptive detail to aid observation reports. Observing Flames, as proxy for fireline intensity and indicator of tactical limitations, requires careful observation of flame length versus flame height. It is also important to identify whether the observation is for head, flank, or back of the fire. 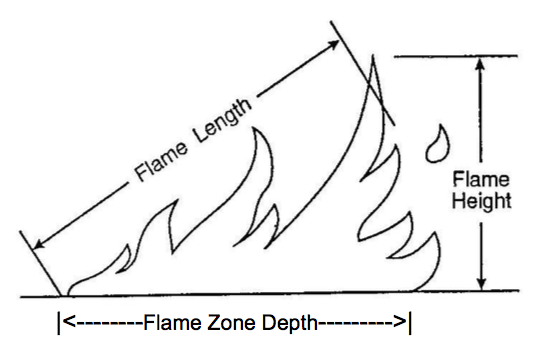 Flame Length: The distance measured from the average flame tip to the middle of the active flaming zone at the base of the fire. It is measured on a slant when the flames are tilted due to effects of wind and slope. Flame Height: The average height of flames as measured vertically, up, and down. It is estimated by comparing the flame to a nearby object of known height. Flame height is needed to estimate spot distance from a burning pile. 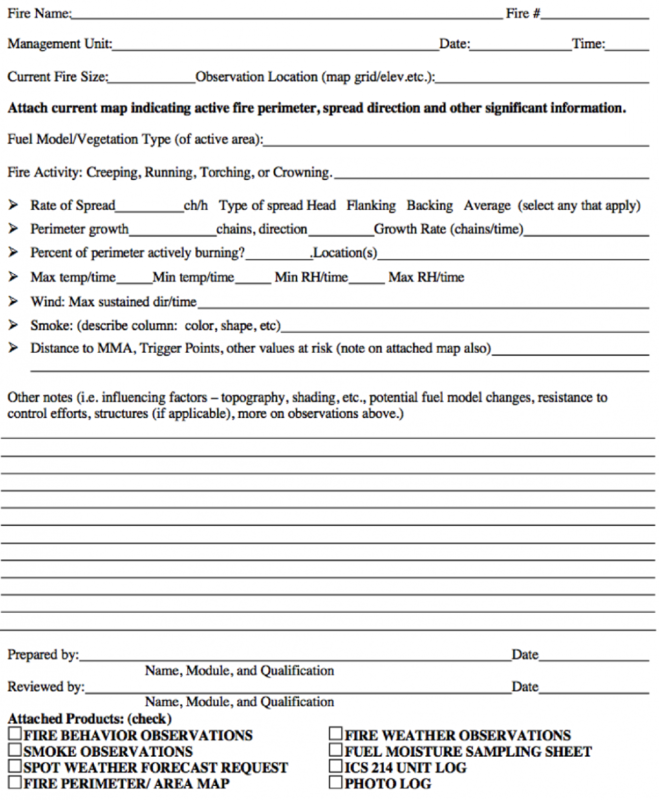 From the NWCG Standards for Wildland Fire Module Operations, PMS 430. 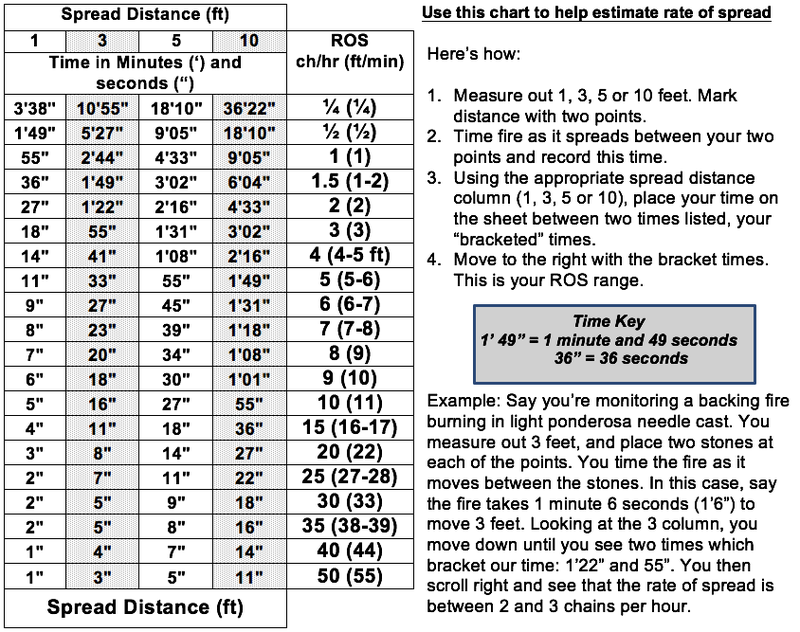 Fireline observers can use this table to look up a spread rate based on how long it takes the flaming front to move a given distance.